Before every Pixar Feature, there is a Pixar Short. 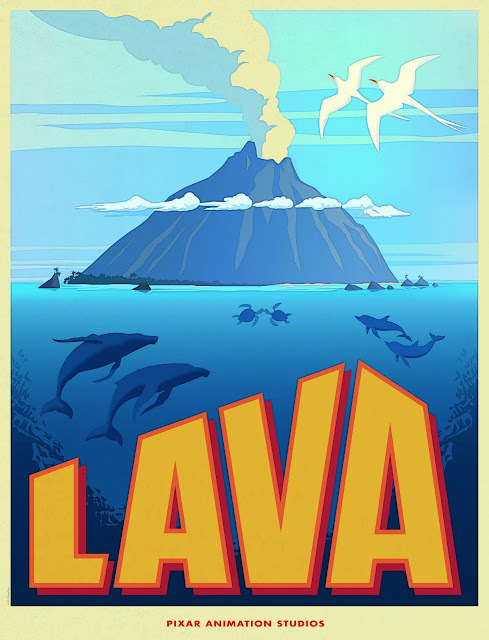 The theatrical release of Inside Out introduces us to Lava. Lava tells the story of Uko, a singing volcano. He gets to see the world around him experiencing companionship, but he is all alone. Uko laments: "I have a dream, I hope will come true. You’re here with me and I’m here with you. I wish that the earth, sea, the sky up above, will send me someone to lava." I don't want to spoil anything but I really want to highlight the importance of the short. Ultimately, we are all made to share life with one another. Whether it be with a spouse, child, or best friend, you shouldn't have to experience life alone. Being lonely happens, but it is important to foster relationships. We are social creatures and are meant to be with our peers. I absolutely loved the effects and picturesque storytelling in Lava. It left me hoping that maybe we might see Uko in Moana! I recommend that you see Inside Out on the big screen. Make sure to get there early to see this beautifully written short. It had me gripping my honey's hand tighter, while I used the other hand to wipe away the happy tears that streamed across my gleaming smile.